If not please click here! In most cases you’ll find the Anti Explorator installation file in your “Download”-folder, or you can locate it in your browserhistory. 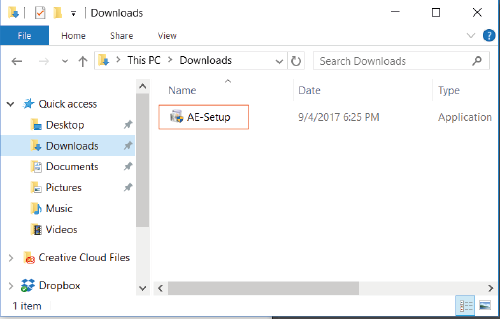 Look for “AE-Setup.exe”. Click on “2 Run the installation file” to continue. This is were you in most cases will find the installation file for Anti Explorator. First look on your harddrive and then in your browserhistory. Double-click on the file and install Anti Explorator. Click on “3 Follow the instructions in the installer:” to continue. You’re only few minutes away from having succesfully installed Anti Explorator on your computer. Follow the instructions as provided during the installation. 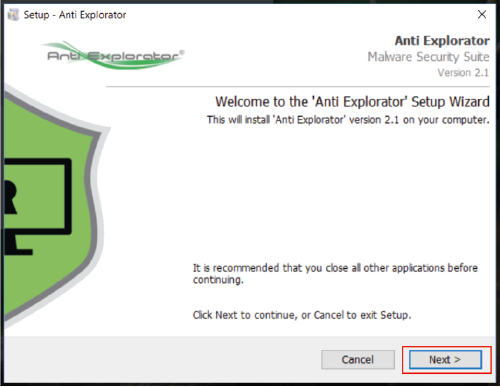 If your computer is already infected with Malware preventing you from installing Anti Explorator on your device, you can choose to install Anti Explorator on a USB-stick or Flashdrive. Download Anti Explorator on a safe computer, and then transfer the installation to the USB-stick or Flashdrive. You can then use the USB-stick or your Flash drive to install Anti Explorator on the infected computer. Should you require any assistance installing Anti Explorator or have any questions regarding Anti Explorator in generel, please feel free to ask our support who would be more than happy to help. You can reach our supportstaff here. Thank you for choosing Anti Explorator – we won’t let you down!